Welcome to your official look at what’s coming to Netflix in October 2016 with all the brand new Netflix Originals, TV series and Movies scheduled to find their way onto Netflix US throughout the month. 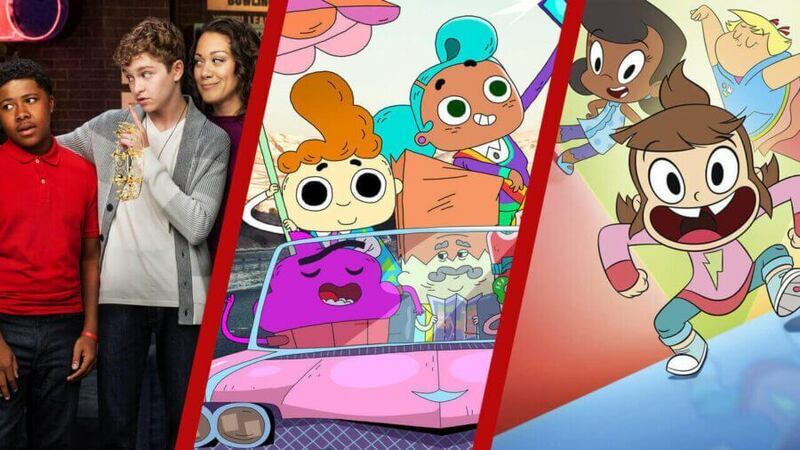 Fall is upon us which means all of your favourite tv shows are back on television, and that also means that most will be getting their renewals on Netflix too. As a result, the month is a little light on movies, but there’s still a handful which is worth your time. October 2016 is the month known to most as the month where The CW’s content library gets renewed and this year is no different, although next year will probably look a little different. It’ll see all your favourite CW shows renewed as well as debuts for Containment and DC’s Legends of Tomorrow. Most of this month’s content, however, is made up of Netflix Original content. 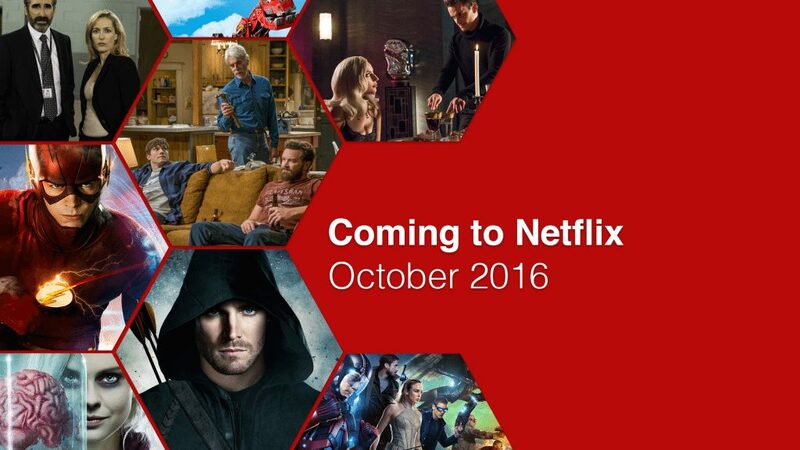 We’ll pick out some highlights and then reveal the full list of stuff coming to Netflix in October 2016. We’ve picked three Netflix Original highlights out of the twenty-three title strong lineup heading our way in October. First up, it’d be criminal not to point out that Black Mirror, the groundbreaking British show will be getting its first season on Netflix as a Netflix Original. The series will go far beyond the three episode a season and have a much bigger budget to boot meaning that it’ll be the most ambitious season yet. The first 6 episodes will be coming to Netflix mid-month. October 2016 will mark the release of the second half of The Ranch which sees our comedy trio return to The Ranch pick up where they left off. Christopher Guest’s big Netflix debut will come in the form of a brand new Netflix Original movie named Mascots. The film will move the focus away from the athletes and instead focus on a global competition for the mascots. The CW will be renewing their Netflix catalogue in October, and that catalogue will be joined by some debuts too. First up, all of their DC content will be renewed which includes The Flash, Arrow and the introduction of DC Legends of Tomorrow (still no Smallville, sorry). That makes Netflix one of the best places to be when it comes to superhero content with both Marvel and DC series now streaming on Netflix. 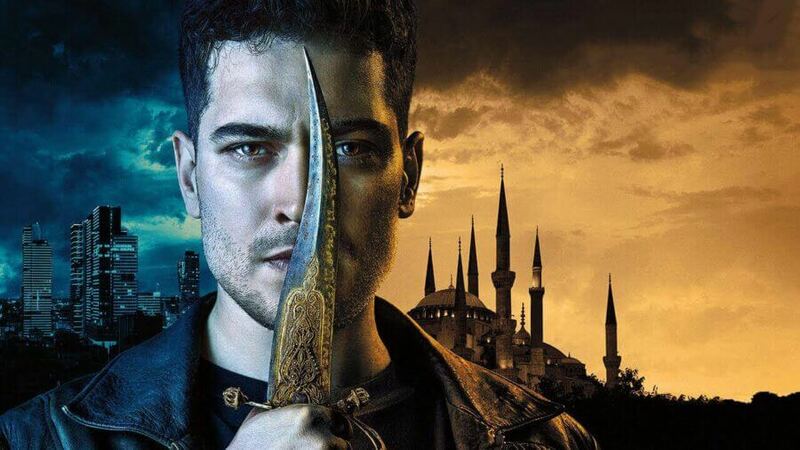 Looking elsewhere in The CW lineup, we’ll be getting refreshes of its best-known licenses including Supernatural, The Originals and The Vampire Diaries. Also long overdue, American Horror Story will be joining Netflix fairly soon in the month which is a little late considering the series has already begun its sixth season on FX. A few returning movies make up the best of the movie content coming to Netflix in October. First up, is the multi-award winning James Cameron 1997 classic Titanic will once again be joining the service. This means Netflix will have something that the iPhone 7 doesn’t have which is Jack. Other older titles including Blue Streak starring Martin Lawrence will be rejoining the service as to will the cult classic Ferris Bueller’s Day Off. No new Disney content in October; which is sad given we predicted that this month we may see the release of Captain America: Civil War but it looks like we’re going to have to wait a little longer. An older Disney title is coming to Netflix though in the form of Pooh’s Grand Adventure. Dreamworks will be bringing a new title too with Kung Fu Panda 3 joining Netflix on October 26th.